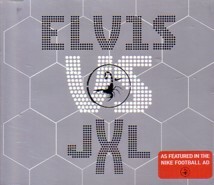 The huge worldwide success of Junkie XL’s remix of Elvis’ previously little known single, A Little Less Conversation (ALLC), has brought Elvis’ music before a contemporary youth market on a global scale. Elvis vs JXL has now been #1 in a dozen countries and only in Elvis’ home country, the USA, is it struggling to receive substantial airplay. Not since the great success on the dance floors of Europe of the dance/disco version of Bossa Nova, Baby in the early 90s has Elvis’ music really moved outside its traditional demographic, the older, middle class market. My personal view is that Elvis’s music deserves to be put before the youth market. If it isn’t, the reality is his album sales will continue to decline as older fans increasingly lose interest in buying the 200th repackaging of an Elvis’s Greatest Hits collection. Moreover, Elvis’ music has a spark, a beat and a ‘relevance’ as much today as in 1956, but the songs need to be carefully chosen and marketed. There are four elements critical to successfully imprinting Elvis on the youth market. One, pick the right songs! If the success of ALLC is instructive (and most commentators and music producers like Junkie XL say it is), songs with a funky vibe that will appeal on the dance floor are a great starting point. Undoubtedly some major Elvis hits can be ‘contemporised’ successfully but why not pick some of Elvis’ lessor known recordings that would be great on the flourishing and influential club or dance scene? Taking a leaf out of picking A Little Less Conversation for a make-over, what about other great recordings that failed to ignite the charts or the public’s interest when Elvis was trying to reinvent himself and be “cool” again in the late 1960s? For instance, Rubberneckin’ has that funky beat as does Your Time Hasn’t Come Yet, Baby, although the lyrics would need to undergo a minor change to eliminate their nursery rhyme sentiment (although see element ‘Two’ below). The title track from Elvis’s last narrative movie, Change Of Habit, could well be another good choice, with its up-tempo pacing, pertinent lyrics and dance along feel. And there are numerous ‘latin flavoured’ Elvis recordings just ripe for the picking! Probably half of the tracks on the great South American release, Elvis Latino, could be used with their catchy, up-beat lyrics and dance inducing tempos. Two, preserve Elvis’ original vocal track! This was uppermost in Junkie XL’s mind when he re-mixed ALLC. In his interview with EIN, Tom Holkenborg (Junkie XL) stressed how he did not touch Elvis’ original vocal, only the background arrangement and music. Three, don’t go overboard! It is important that BMG and EPE do not go overboard in chasing the youth market. A slow, but steady, release of strategically considered contemporary re-mixes is surely the best way to go with the modern day CD buyer. Today’s market is very different to the 1950s and 1960s when record companies were very successful in flooding the market with numerous releases by the one artist. The ‘golden days’ of each year releasing 3 or 4 Elvis singles and 3 or 4 Elvis albums are long gone. Already re-mixes of two major Elvis hits, Suspicious Minds and Burning Love, are apparently being worked on. One of these is likely to be used as a promotional tool for the upcoming Elvis #1’s album and the second during the lead in to the profitable Christmas buying season. But is this really a smart move by BMG? It is possible that if ‘re-mixed’ songs are used to increase sales of the album there may be many disappointed album buyers. Why? Because the album will include up to 30 tracks as Elvis originally recorded them! They will not have the necessary contemporary, new millennium sound of Elvis vs JXL! What this could mean is that in a grab for greater profits BMG alienates the very market it needs to ‘capture’- alienates them from buying future Elvis releases! Four, have a “cool” music video to promote release! Singles today rely particularly heavily on airplay in the Club (or Dance) scene and a strong funky music video on television. Radio station airplay, while still important, has lost some of its power due to the proliferation of ‘niche market’ stations and low rotation (diluted) airplay lists where tracks are not played as frequently as they were two or three decades ago. A “cool” video is likely to be a more significant factor in sales success than traditional point of sale, etc marketing strategies. A word of warning: the failure, in some people’s eyes, of BMG to have the second music video for Elvis vs JXL available as the song hit #1 around the world should signal to BMG how it could lose any forward momentum with a future release. Luckily the Nike ‘World Cup’ video was available and while Elvis’ image was nowhere to be seen at least there was a video ‘tool’ to promote the music on television. Conclusion: Time will tell if re-mixes of tracks like Burning Love and Suspicious Minds are successful. If they are, does this mean we will be treated to contemporary make-overs for Hound Dog, Jailhouse Rock and Don’t Be Cruel? – tracks that appear to have considerable merit as modern day releases with their catchy, uptempo feel. Jailhouse Rock also has an eye-catching, black & white video to go with it, one that could be easily tailored to appeal to the youth market of today. Thanks to the eclectic and large body of musical work Elvis has left as his legacy, there are many opportunities for BMG to find the right tracks to bring Elvis once again into the minds and hearts of the youth market. This does however beg the question of what strategy is needed to re-ignite Elvis’s appeal to the major buyers of albums, the older, middle class! What do you think? What songs should BMG choose for future re-mixes?